The “ASEAN People in Flux” series and the “Displaced and Uprooted” series take center stage in May with a number of activities that focus on people’s movements in Southeast Asia–forced, reluctant, exploitative and voluntary. An intermezzo, is the shadow play and related workshops by Indonesian artist Jumaadi, His work proposes new art forms inspired by local realities and grounded in traditional concepts and motifs. I hope this month program is of interest to you and i look forward to seeing you at our events. Please help us share this agenda to reach a wider audience. Also, for those who are far or cannot attend, please be aware that we have started to broadcast panel discussions on our facebook page. Looking forward to continued interaction. Cambodia-Thailand Migration Management: Failing Migrants? The panel discusses the challenges and opportunities in managing cross-border migration flows between Cambodia and Thailand by taking a closer look at existing policies and their implementation and assessing their effects on migrants. This event will explore the protection and social reintegration processes available for trafficked persons in Thailand and ASEAN and identify good practices and existing gaps. The event will also serve to present the new issue of the “Anti-Trafficking Review” with the same title ‘Life after Trafficking’, which analyses these issues in a broader context from different countries around the globe. On 11th of May we will focus on displaced persons, asylum seekers and refugees in Southeast Asia as part of the “Displaced and Uprooted” Series, which SEA Junction organizes in collaboration with the TIFA Foundation. More particularly, the workshop and related panel discussion will explore the bias towards securitization in the regional response to forced migrant flows and its implications for the rights and wellbeing of asylum-seekers, refugees and displaced persons. The workshop is designed for the students of the Global Health Program of Thammasat University and other interested students, while the panel is open to the public. 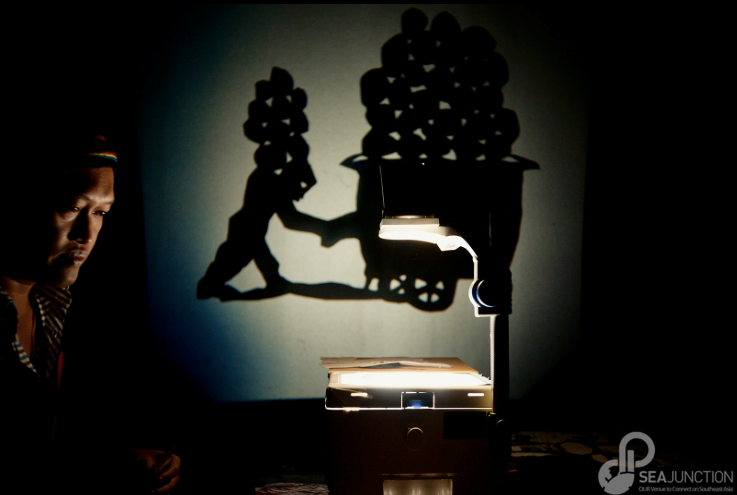 On 12 & 13 May, SEA Junction will host a unique contemporary shadow puppet (Wayang) play by Indonesian artist Jumaadi in collaboration with the “Shadow Factory” collective of East Java. There will be 4 performances, twice every afternoon, while ech morning there will be a workshop on making contemporary wayang. 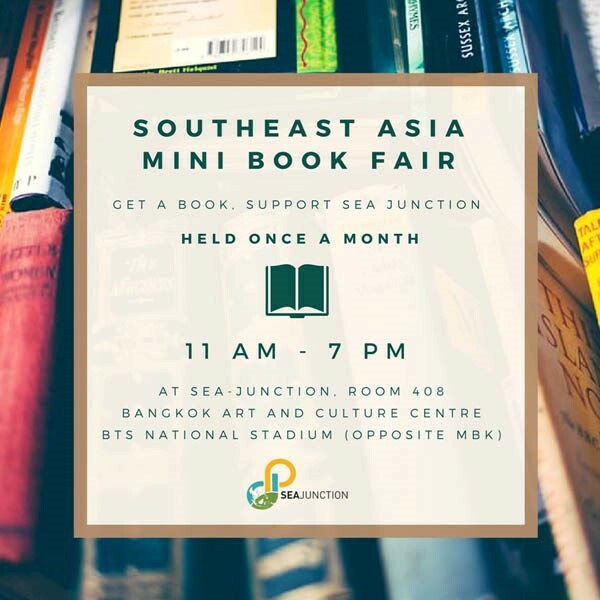 The mini book fair, held once a month in the space in front of SEA Junction, showcases a limited collection of new and used books on various aspects of Southeast Asia. The incomes derived from the fair are used to support SEA Junction’s activities. This panel will explore the impacts of geophysical and weather-related hazards on communities in Southeast Asia and the policy and program responses to disaster-induced displacement.